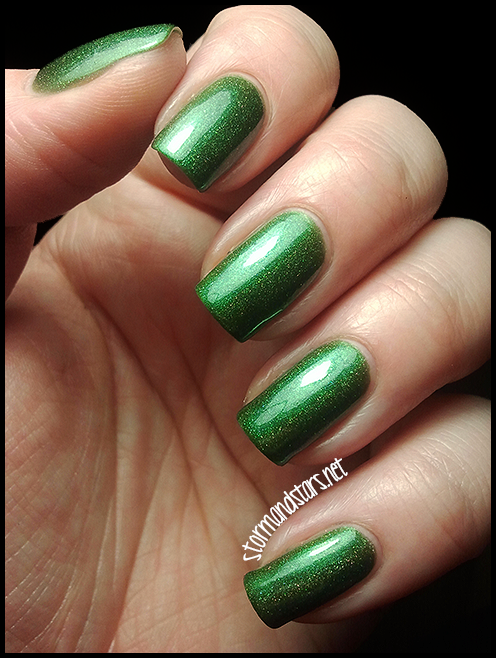 Stormandstars.net: This Darling Holo Is A Zombie! I'm exhausted from a long day in training so I'm just going to get right into it today. 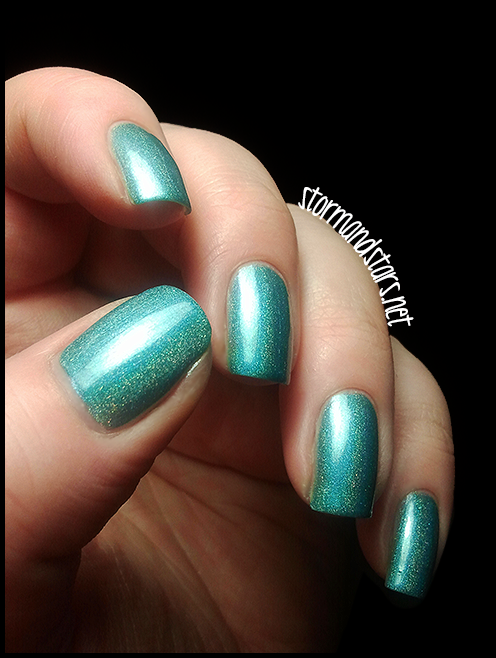 I have two of the new holographic polishes from Zombie Darlings for you today. 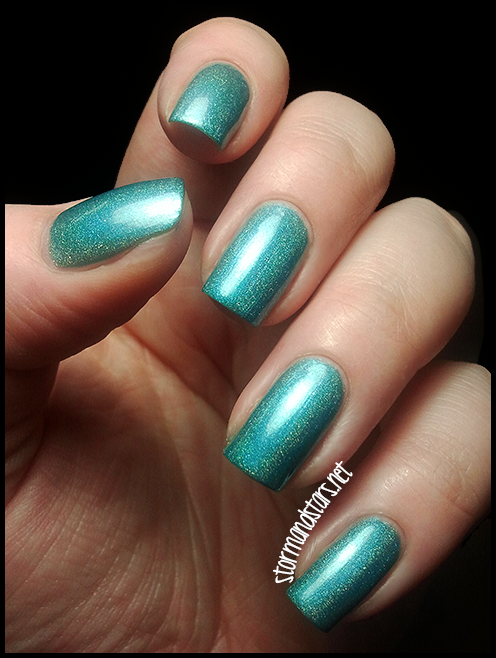 One is a deep green with a slight linear holo called Envy and the other is a light blue linear holo called Aquamarine. 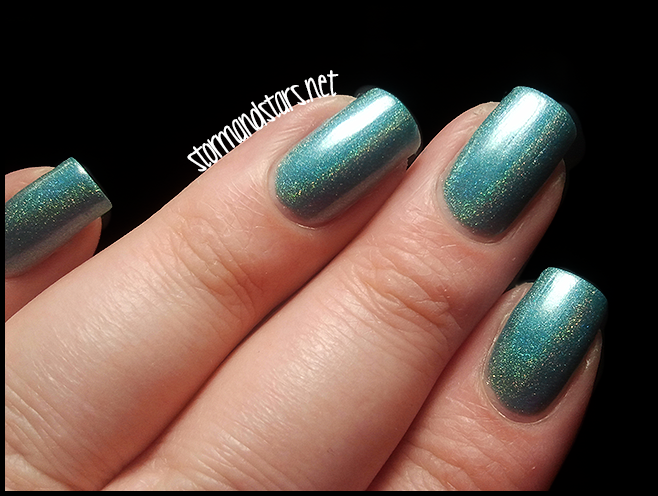 Click below for more photos and more holo goodness!! 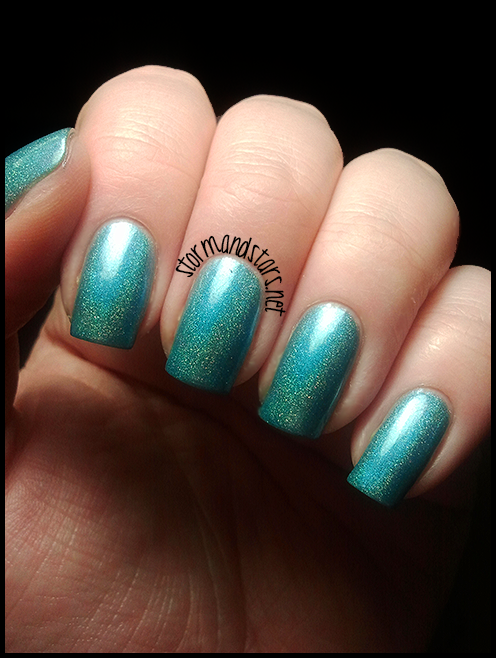 Aquamarine went on sheer on the first coat, but evened out in the second and was at full opacity in 3 easy coats. 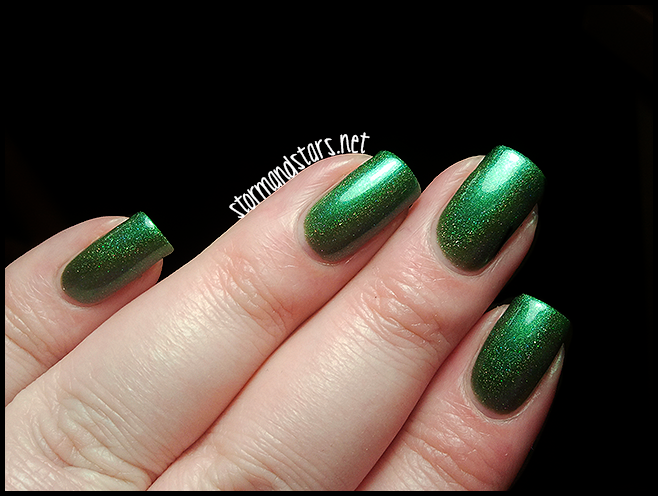 Up next is a deep green called Envy. This is not like anything else is my stash. I really love the color! 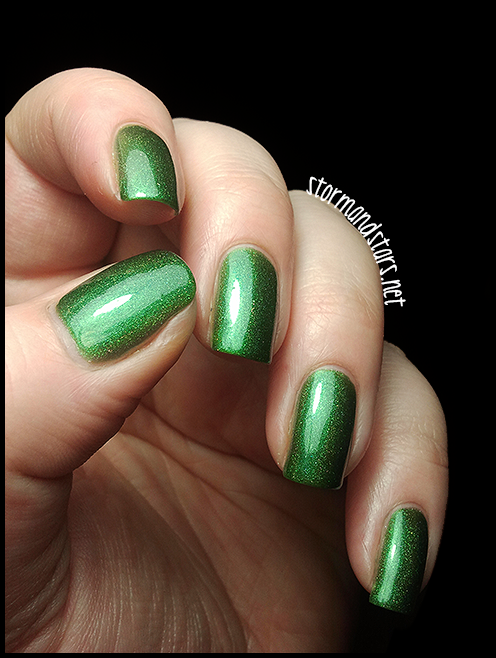 I did find Envy to be a bit sheer, and I used 5 coats to reach full opacity, however over a green undies (Ilamasqua Rampage anyone?) I think it would only need a coat or two. 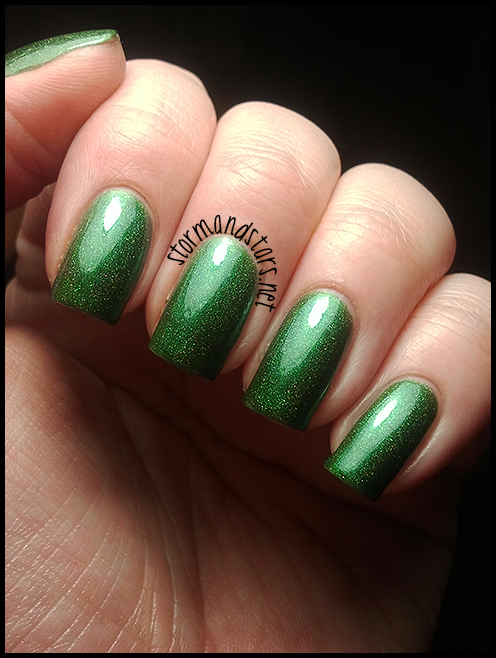 I really really love this green! Zombie Darlings was wonderful to work with. I actually traded for these babies, which I love to do. I'm sure I'll have more of these beautiful holos for you at a later date, but thats all for tonight. I hope you all have a wonderful evening! That first one is SO stunning! I love her whole line of holos, theyre all so unique and pretty.